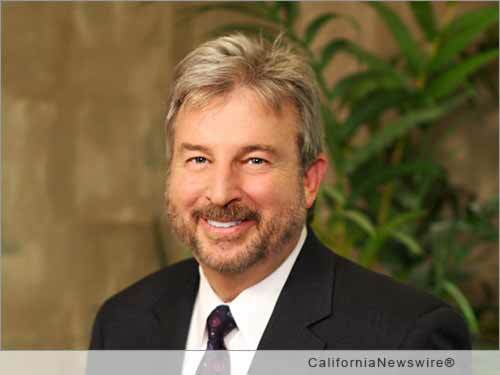 SAN FRANCISCO, Calif. and ATLANTA, Ga. /California Newswire/ — In the world of risk management, captive insurers are taking on a major role for companies of all sizes. As the number and types of captive insurers are expanding, so too have the types of risks that captive owners are funding through these alternative-risk financing structures, says EPIC Insurance Brokers and Consultants. One area of increased interest is the use of healthcare captives by medium-size companies. This growth is the result of medical stop-loss since the Affordable Care Act precludes employers from limiting health care coverage in their benefit plans. EPIC, a retail property and casualty insurance brokerage and employee benefits consultant, today announced that Dan Houston, EPIC's Senior Vice President of Enterprise Risk Management and Principal, will moderate a roundtable on these captive insurers topics, including what types of new coverages captives are insuring and other creative uses for these entities at the Business Insurance Risk Management Summit in New York on March 22, 2016. What: Roundtable on "Creative Uses for Captives"
When: Tuesday, March 22 at 1:50 p.m.
Who: Moderator: Daniel W. Houston, Senior Vice President of Enterprise Risk Management and Principal, EPIC Insurance Brokers & Consultants. Where: The Business Insurance Risk Management Summit, Westin Times Square, New York, NY. Dan Houston is Senior Vice President of Enterprise Risk Management and Principal at EPIC Insurance Brokers & Consultants. He is based in EPIC's Duluth, Ga. office. Prior to joining EPIC in August 2006, he was Senior Vice President and Vice President/ Producer with Marsh, Alexander & Alexander (Aon) and Willis/HRH. He has also served as Director of Risk Management and Insurance Worldwide for Hickory Springs Manufacturing Company and NCR Corporation. While working for NCR he co-developed the first cyber insurance policy and risk management response. An author of over 500 articles, texts and educational courses on risk management, insurance, analytics, contractual risk transfer, music, religion and law, Houston is the recipient of The Risk and Insurance Management Society, Inc.'s (RIMS) prestigious "Harry and Dorothy Goodell Award," and was named "2010 Insurance and Risk Management Professional of the Year." Houston was recently featured in the Wall Street Journal and CNBC for his work with the endangered panda program. He is a member of and/or serves on a number of boards, notably the Next Generation Manufacturing (NGM), Japan-America Business Council, Federal Reserve Bank, Advanced Risk Management Panel, Defense Research Institute, Eisenhower (after his great uncle Dwight D. Eisenhower) Academy and is a founding member of the International Risk Management Federation in Helsinki, Finland. The Business Insurance Risk Management Summit is a unique two-day conference serving the information and networking needs of senior risk managers, benefits managers and related decision makers from the largest U.S. and global companies. Now in it its seventh year, the summit provides attendees with focused insights into key risk management concerns via expert panels and strategic, thought-provoking discussions with peers and industry leader.